7 Comments Published by Terrace Crawford on 12/31/07 at 2:43 PM. #1 - To seriously discern God’s direction for my life and the ministries I serve. This will take me intentionally carving out more time in my schedule to spend in solitude, purposefully being quiet so that I may better hear His voice. I'd say this is a repeat too but it hasn't been on my list. Its not that I haven't desired a relationship with someone but it just hasn't been a priority for me. This upcoming year, I'd like to spend more time in prayer for the "one" (insert angelic music here) that God has for me, cooperate with the spirit's leading and take steps where I should to make this happen. I have a sense 2008 will be a most-excellent year in this respect. #3 - Lose 50 lbs. Comin in at number 3 we have a very personal goal. 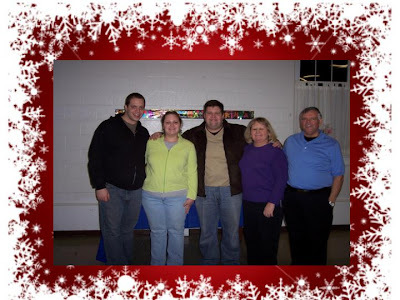 Yes, its a repeat from last year... no drum roll needed... here it is folks...losing weight! I really hope to lose more, even dropping to the median weight for my height and age BUT I wanted to be smart in my goal setting! I LOVE to read but it often gets put on the back burner when I have other things to do. I read a TON on blogs and listen to a TON of podcasts, which is very good, but I don't want it to replace a good book in my hands! #5 - To do at least 20 new things I’ve never done before. I want to experience more of life. I'm hoping this year I will be able to eliminate some of the "more adventurous" things on the "before I kick the bucket" list. Yes, marriage would be one of them. #6 - Make it onto a Rick Warren's blogroll. Just kidding! Although I'm honored when I'm added to any blog roll, my goal for number six is to drop letters, hints, emails, harrassment messages and whatever else is needed to several men that I would LOVE to see blog! I may tell you "who" they are later but several of them are well-known leaders while the others are men who have made personal impacts in my life. Reading their thoughts daily would be MOST incredible. #7 - Watch "American Idol" faithfully this upcoming season. For the last two seasons, even though I'm a fan, I've Tivo'd most episodes and (truth-be-told) have not been on track come time for the finale. There are other shows I want to more faithfully follow but AI seems to be the area that needs most improvement. #8 - Be more financially stable. This area needs some improvement, for sure. I'd like to be more financially stable this upcoming year, not for personal gain (although a little nest egg would be nice), so that I might be able to give more to missions and help many more people in need. #9 - Be more encouraging. Somehow I think over the last two years I've stunk in this area. I want to 'step up my game' in this area and do more to encourage people in their lives. Show some love! Gimme a break. If I do all 9 things above I'll need a break! LoL. I could seriously stand to create more times of re-creation and solitude to refresh myself. My mentors would be very proud of me for this one. So what goals do you have planned? Feel free to leave your list or URL (where the list can be found) in the comments, or just email me. 10 Comments Published by Terrace Crawford on at 9:28 AM. It is New Year's Eve baby! It seems like forever ago since last Monday. I'm making some new friends on the blogs. It is so much fun to surf around the blogosphere. I'm so addicted. I can already tell you that some of them are repeats from last year! LoL. I don't think people should have to work on New Year's Eve. It would be cool to be in New York City tonight for New Years. I'm excited about the new feature on my blog Daily Detox. Should be good. Hope u enjoy. I just thought it sounded cool. Sounds kinda raw yet very good for you and me. A nice couple in my church just dropped off some presents for me. I think its SUPER cool to get presents AFTER Christmas is over. Just when you think you're done... SURPRISE! I love people who crack me up. Hey, I love to laugh... and make people laugh. Hmm... perhaps a New Year's resolution? I'm seriously in the mood to open another present. LoL. Ok, I've gotta get over that. I'm a fan of Facebook. Are you on? If so, and we are not friends, add me. See link at top of this page. I have a friend who keeps editing the details of how she knows me by making up funny stories. Then I re-edit with an even funnier story. Its hilarious. I have another friend who keeps poking me. We poke each other daily. Its straight up funny... and very random. I'm glad you are reading this. Sometimes I never know who reads the blog. U should drop me some comments. I dislike bloggers who disable their comments. That is one of my favorite parts about blogging. Ok, phone call. Gotta run. 5 Comments Published by Terrace Crawford on at 8:57 AM. If you are like me, youth worker, you are always looking for creative ideas to keep growing. At this time of the year, as I've found with many other workers in the field, I am typically thinking "what should I do differently this upcoming year?" I ran across a blog that speaks to you who are thinking about growing your youth ministry. Jason Curlee provides some pretty insightful tips (and apparently proven results!) for growing your ministry. Check out his part one and part two of his blog post "Triple Your Youth Ministry." Also, for those who might like to sign off and read a good book... I read through Jeanne Mayo's "Thriving Youth Groups: Secrets for Growing Your Ministry" this year. Jeanne is a veteran in the field of youth ministry and provides some incredible growth strategies. I highly recommend her writing to you. 11 Comments Published by Terrace Crawford on at 8:31 AM. This January, Church of the Resurrection(Leawood, KS) will begin a new sermon series called “Seeing Gray.” Adam Hamilton, lead pastor, will be searching for insight to some complex gray areas of faith, morality, and politics by studying the Bible and Christ’s example. Their team also decided to be very creative and take the discussion from the pulpit to YouTube, and they are looking to hear your thoughts, opinions, and questions on each topic that will be discussed over the first five weeks of 2008. 4 Comments Published by Terrace Crawford on 12/30/07 at 11:32 AM. Daily Detox is a new feature that I'm unveiling for my blog that will be a daily dose (or nearly daily) of good stuff. Sometimes it'll be thought provoking, raw, straight up funny, honest or even inspirational but clean and good for you. Enjoy! 16 Comments Published by Terrace Crawford on 12/28/07 at 1:35 PM. I just thought I would share some exciting news with you. We ended our Advent Conspiracy series on the 23rd with a special offering where 100% of the giving would be put towards rebuilding wells in Liberia. We were excited to see this series come to a culmination and our body gave nearly $66,000 which we figured will provide clean water for roughly 45,000 people. It's exciting to see people come together and change. Click here to see some of Jordan's amazing photography work. Click here to visit Grace Chapel's site. Click here for more on Advent Conspiracy. 4 Comments Published by Terrace Crawford on at 1:07 PM. I was reading through Christianity Today's Top Ten Stories of 2007 earlier today. The editors have listed the 10 events, people or debates of the last year that have shaped us. 1. Taliban takes Korean short-term mission team hostage, killing two. Did they botch the list? What would you have included in the top ten? Leave a comment with your suggestion. Click here for the full article, with summary of each. 20 Comments Published by Terrace Crawford on 12/27/07 at 12:50 PM. One of the privileges I have is serving as a leader of a youth pastor network in Southeast Virginia. Youth Pastors from all over our area gather once a month to have lunch together and share their insights over a relevant topic that we (as a group) come up with prior. The coolest thing we do is that we podcast our discussion, which may be a help to other youth workers in the field. For the month of January I thought it would be cool to let YOU decide what you would like to hear a group of youth pastors discuss! Is there an area of your ministry (or even something specific) that you would like to talk with others in the field about? 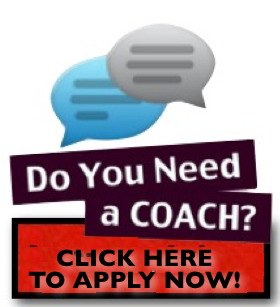 Contact me by email with your topic suggestion or leave it in the comments here on the blog. Your topic may be chosen for our discussion in January! It is so refreshing for all of us who walk into these gatherings feeling 'weak' in a certain area of our ministry and after discussing it with like-minds in the field we walk away stronger. It's all about iron sharpening iron. Click here to visit the Student Ministry Roundtable Podcast. 9 Comments Published by Terrace Crawford on at 12:24 PM. Now this truly brings new meaning for me to the message of 'The Potter' in the book of Jeremiah, Ch 18. I blogged about going through my family's garage yesterday and yet another thing I found was beautiful (HA!) 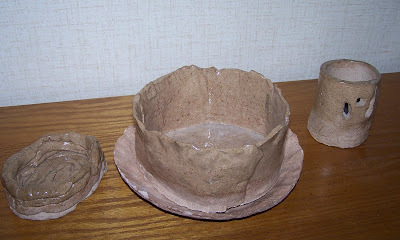 pottery that I made years ago in middle school. I made a candle holder, bowl and an ashtray? The funniest piece of all is a plaque that I made for myself that reads "Great Heroic Ability award presented to Terrace Crawford," which now serves as a base for the bowl. Now THAT is funny folks! 8 Comments Published by Terrace Crawford on at 10:52 AM. I spent some time yesterday going through the family garage to see what I had "packed away." Among the most interesting things were old yearbooks, old clothes (which are now in the garbage), a Steven Curtis Chapman life-size cardboard cutout, old Wrestling paraphernalia (I'm still a fan, but may sell the stuff) and an old report card (almost all A's and B's! - pictured on right - and a few E's and S's, which is the extreme opposite, I believe, by today's grade system). I thought it was hilarious to see the teacher's comments on the back, especially the "Oh no! What a terrible fall in Science!" I thought Math was my weakest subject... but every comment is in regards to Science! 4 Comments Published by Terrace Crawford on at 10:13 AM. Ah... Nothing beats a Carolina Christmas. Christmas in the 'real' Carolina, that is. I spent a week in South Carolina with my family and I'm convinced nothing beats it. We had a great time... and there is nothing quite like South Carolina at Christmas. One day it was summer, the next winter. Tons of food! Lots of Christmas spirit (my sister wanted to open presents like 3 days before!) and lots of love to go around. It was JUST what I needed. Can we all be Good Samaritans? 4 Comments Published by Terrace Crawford on 12/26/07 at 6:37 PM. Since my recent post on Advent Conspiracy, I noticed TED had posted a video of Daniel Goleman speaking on the subject of compassionate consumerism. Goleman asks why aren't we more compassionate more of the time. Sharing the results of psychological experiments he explains how we are all born with the capacity for empathy -- but we sometimes choose to ignore it. Having trouble loading video? Click here to watch. I thought the video was very thought-provoking and I thought several things were particularly interesting: the thought that we do things sometimes for a narcassitic hit (which is very self-focused), the idea that we consume so much sometimes when we don't think of how it may be impacting others around us and the word he introduced "pizzle" (which should never be looked up in the dictionary, LoL). About the speaker: Daniel Goleman, psychologist and award-winning author of the 1995 mega-best-seller Emotional Intelligence. 6 Comments Published by Terrace Crawford on 12/25/07 at 10:03 AM. Video: American Soldier Christmas Tribute. Thank You to those fighting for our freedom, so that we might have Christmas. I'm having some fun this Christmas, bringing to you some creative, funny or interesting videos I run across. It's the 12 Days of Christmas Videos ... right here on my blog. 8 Comments Published by Terrace Crawford on 12/24/07 at 7:24 PM. 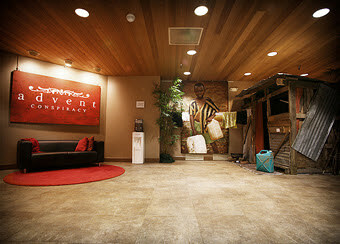 I ran across this pic of the lobby at Grace Chapel (Wilsonville, OR) who are conspiring this season to give. They are a part of the Advent Conspiracy which is bringing the message of "compassion, not consumption" to the world. I was so moved by good works of Advent Conspiracy that I did an entire series on it for college and 20-somethings and am motivating others to join the conspiracy. This is such good stuff! I'm stoked when I see people doing this. More on Advent Conspiracy by clicking here. 16 Comments Published by Terrace Crawford on at 11:36 AM. Video: Creative Christmas - "Little Drummer Boy"
Heritage Wesleyan Church, IL has a Creative Christmas production each year that is stellar! This is a sample. 4 Comments Published by Terrace Crawford on at 8:24 AM. It is Christmas Eve baby! I can't believe its here already. Nothing like spending time with the family and friends. I saw a raccoon, opossum and a couple of cats on my parents back patio yesterday. It's like a zoo here! It doesn't seem like Monday to me, again. I'm not quite sure what day it feels like. I'm tired of wrapping presents. My sister jokes my wrapping skillz. I think I could beat her in a competition though. Wow, its cold today. Yesterday it was like summer. I can't wait for the Reject Christmas Party I'm throwing this Saturday. Its a party for college and 20-somethings and I asked them to bring a reject Christmas gift to play a sort of white elephant exchange with it. Its SO much fun. I've eaten so much already. I totally need to sign up for the Biggest Loser. I get to see both grandmothers and my grandfather today! Just got a phone call from my best friend Phil. Good times. I've started developing my list of New Year's resolutions. TBA on the blog at a later time. It's a serious list, with several repeats from last year. Go figure. I about to eat lunch with a good friend at Zaxbys. Thats some yummy goodness right there. Its almost time to open presents! Oooh... I love this song. I heard Revolution Church plans to deliver 250 dozen doughnuts to people who are working on Christmas Eve this evening. That is such a cool way to show some love. Shout out to Jessie Bessie! Thanx for reading the blog and lovin the Manic Monday Minute. 5 Comments Published by Terrace Crawford on 12/23/07 at 6:12 PM. I have seen it all. The London Associated Press released the news that Queen Elizabeth, the 81-year-old British monarch, has launched her own channel on YouTube. The Palace said she "keeps up with new ways of communicating with people and was hoping to reach a wider, and younger, audience through the popular video-sharing web site." 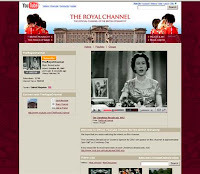 The palace began posting archived and recent footage of the queen and other royalty on the Royal Channel on YouTube immediately, with plans to add new videos regularly. The queen plans to send out her annual Christmas message through the channel at 3pm on Christmas day. Officials say the Christmas message will urge people to care for the vulnerable and those excluded from society. She also plans to pay tribute to the sacrifices made by the armed forces. "The queen always keeps abreast with new ways of communicating with people," Buckingham Palace said in a statement. "She has always been aware of reaching more people and adapting the communication to suit. This will make the Christmas message more accessible to younger people and those in other countries." Click here to access the Royal Channel on YouTube. 12 Comments Published by Terrace Crawford on at 4:37 PM. 2007. We are taking a look back. What the heck just happened? 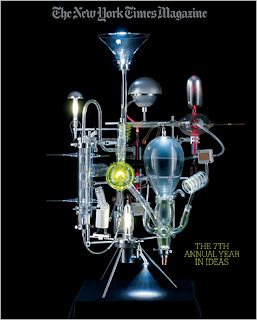 The NY Times had an interesting article on the 70 Ideas that Made 2007. The magazine contributes this article for the seventh consecutive time... only this time with my personal favorite "Suing God." A Senator brought a lawsuit against God. Who knew you could sue God? Peruse through the article and see what made 2007 so interesting for all of us. 5 Comments Published by Terrace Crawford on 12/22/07 at 7:45 PM. For those of you who enjoyed a little Blue Like Jazz, you will be happy to know that a movie based off elements of the book could be released as early as December 2008. 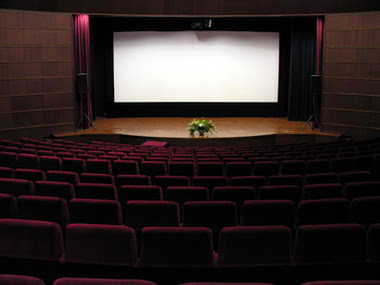 Click here to read an interview about the movie. 0 Comments Published by Terrace Crawford on 12/21/07 at 9:53 PM. Ellen: "Clark, what's wrong? It's bigger than you expected? Smaller? What is it?" Clark: "It's a one year membership in the jelly of the month club." Eddie: "Clark, that's the gift that keeps on giving the whole year." ...its not Jelly, its better! 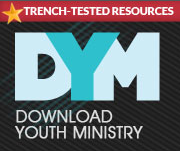 Tim Schmoyer, just rolled out over 50 freebies for youth workers on his blog. That is definitely the gift that keeps on giving the whole year! Check it out today... and send some kudos to Tim. 7 Comments Published by Terrace Crawford on at 2:34 PM. I've been surfing for chicks online today. Easy tiger. Slow your role. 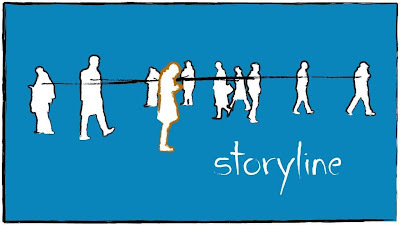 I've done some thinking today about the blogs I read (love it!) and realized that I've got my church planters that I read, my youth ministry strategists, the media gurus, pastors extraordinaire, etc... but I don't have any blogs that I read that are written by a lady who is doing ministry with girls, offers a good perspective on the church today, or even covers relevant topics that I'd be interested in reading. I'm not being picky. I'm just saying that I haven't really found any. If you read someone that you'd recommend, please share the URL in the comments. 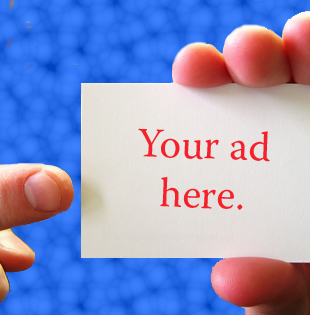 There may be others who would love to benefit from your search. 0 Comments Published by Terrace Crawford on at 7:51 AM. Image originates from Straight From My Brain. Click here to view image in larger scale. 0 Comments Published by Terrace Crawford on at 7:17 AM. I just love this season. Its the greatest season of giving we really have. I want to see that change. Why can't it be Christmas all year long? I get such a kick out of giving. Its difficult for me sometimes, being that my birthday is first day of December, to not share my gifts with everyone... because I'm in the spirit of giving. My mother says "I want you to spend the gift I give to you on YOU!" I understand Mom. But Mom, understand that this is who I am. Its what I like to do! I guess you could say I've discovered the Santa in me. Santa has a bad name sometimes in the Christian community. I apologize for this. Although I might agree that we've depicted ole' St. Nick in ways that would make him roll over in his grave, I think the man behind the name "Santa" should be told. Spend some time reading the background on Santa Claus... he was a man of great faith and probably the best "giver" anyone has ever laid eyes on. We should continue in this spirit. Giving often leads others to give. I like what Tim Sanders said in his recent blog about grabbing the Santa opportunity. So I find myself sharing my gifts with everyone. It's okay. Christ lives in me and I've discovered the Santa in me too. Have you discovered the Santa in you? 4 Comments Published by Terrace Crawford on 12/20/07 at 9:37 PM. 0 Comments Published by Terrace Crawford on 12/19/07 at 8:06 PM. I was scanning the dial this AM on the radio and stopped on K-LOVE's station for a second and caught this "Letter from Jesus" as Jon Rivers was reading it. I first thought it was cheesy but as he continued I was saying 'Right on!' I couldn't help but share it with you. I'm not quite sure who the author is? Jon Rivers says "Jesus." Regardless, its a good message throughout. I said a few "Amens" in the car. want to celebrate My birth, just GET ALONG AND LOVE ONE ANOTHER. square because there would be many of them all around town. were. If you have forgotten that one, look up John 15: 1 - 8.
time of year. I know, they tell Me all the time. personally. They just need to know that someone cares about them. follow up. It will be nice hearing from you again. your arms and remind them that I love them. their own life this season because they feel so alone and hopeless? meet a warm smile; it could make the difference. spend the day at home with their families. actions that you are one of mine. and do what I have told you to do. I'll take care of all the rest. 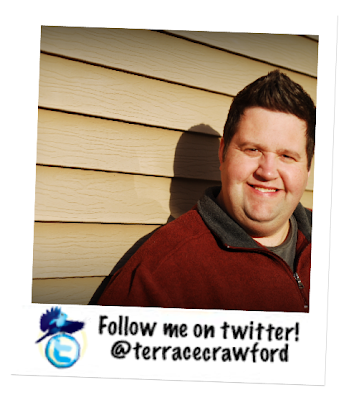 6 Comments Published by Terrace Crawford on at 2:48 PM. I watch this movie every Christmas and several times throughout the year! 0 Comments Published by Terrace Crawford on at 9:09 AM. InPop Records is offering a special Christmas gift to you this season. 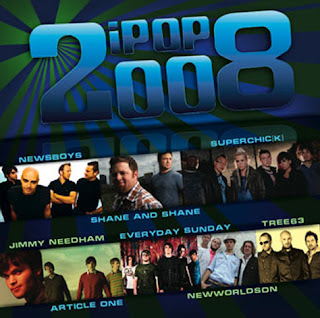 They are giving you a free downloadable full-length album titled iPop 2008! Head on over to the iPop site and download your free music today... and tell them terracecrawford.net told ya about it, K? 1. Newworldson - Salvation Station 2. Newsboys - Your Love Is Better Than Life - St. Petersburg Mix 3. Everyday Sunday - Wake Up! Wake Up! 8. Jimmy Needham - Lost At Sea 9. Newworldson - Gimme 10. Everyday Sunday - Find Me Tonight 11. Article One - Slow Down. Did you miss the link? Click here to begin downloading your free full-length album. 4 Comments Published by Terrace Crawford on 12/18/07 at 12:25 PM. Video: "Merry Christmas from World Relief"
a very moving video from a great organization I support. 1 Comments Published by Terrace Crawford on at 7:56 AM. I took the Myers-Briggs while in college for free but I understand its typically quite expensive. I found a shorter version online (for FREE!) thanks to Marko. The results weren't astounding, as I believe I got the same results as I did in college. Anyways, enjoy! Click here to take the test and discover your personality. 6 Comments Published by Terrace Crawford on 12/17/07 at 3:29 PM. I think I just saw an Eskimo. I'm totally addicted to blogging. Confirmed. Just read an email from my friend,Brent Crowe. He just came to visit on Thursday. We're getting ready for Leadership Rocks in February! It doesn't seem like Monday to me. I can't believe the Eagles beat the Cowboys and the Skins beat the Giants. I've been watching a lot of Cage Fighting lately. I love it. I sometimes think I could beat some of these competitors. I know, wishful thinking. It seems to be on television all the time. Hey! an email from Mike Weston. Love that guy. Totally miss working with him at WMHK-FM. Just got off the phone with Dave Daniels. I was a guest on Churchy Media's podcast this past Saturday. Those cats are doing some cool stuff. 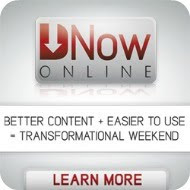 Most excellent resource for churches. Shout out to Brandon Reed! Thanx for reading the blog and lovin the Manic Monday Minute. 2 Comments Published by Terrace Crawford on at 2:27 PM. Video: "Dave and Terrace's Christmas Favorites"
51 Comments Published by Terrace Crawford on at 12:26 PM. Remember the time... that I enjoyed Christmas with Clay Aiken courtesy of a couple of good friends and I had a chance to hang out with Clay's mom for a few? 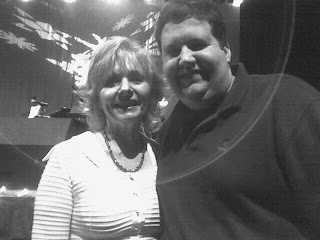 Yep, thats a pic of me with Faye Parker. Yea, I remember that time. It was Christmas - last year. Can't wait till American Idol begins in January! 12 Comments Published by Terrace Crawford on 12/14/07 at 10:39 PM. 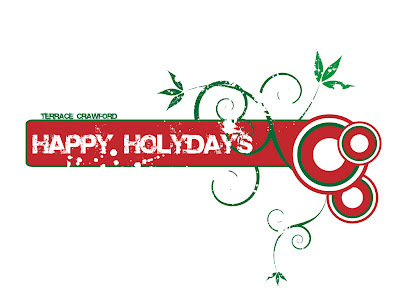 Video: "Frosty's 12 Days of Christmas Podcast"
5 Comments Published by Terrace Crawford on 12/13/07 at 3:43 PM. Video: "A Coca-Cola Christmas - First Ever Coke Christmas Commercial"
5 Comments Published by Terrace Crawford on at 2:30 PM. There seems to be a lot of talk lately on the blogs I have read about growing students (and adults!) in their walk with Christ. This became a hot item when Bill Hybels shared what I referred to as The Willow Creek Confession at the Summit this year. Willow, by their own admission, made a statement that they weren't teaching people to be self-feeders. This started some incredible discussion among churches nationwide and now it seems to be a hot topic for ministers of students. Tim Schmoyer, who I frequently read, shared about this in his blog. I thought he provided some good conversation and the comments that follow his article shows that many youth pastors around the country are engaged in this topic. I am really enjoying this discussion and simultaneously I am glad that we are doing a series called CREED in our student ministry. I know, first hand, that a series will not solve a problem. But I recognized a couple of problems quite a while back with students. One: Many students aren't feeding themselves. Two: Many students don't even know what they believe. I'm currently trying to tackle these two. If I can help students know what they believe then we can begin to help them in their walk with the Lord. Quite honestly, if they don't know who Jesus is and are not grounded in their faith why should they be concerned with feeding themselves? I started developing a series called CREED where I plan to help students wrestle through what they believe and why they believe it. It is perhaps the most exciting, envigorating series I have ever done. It is VITAL that we make this a priority in our student ministries! I say this because we know that the current statistic of students who leave our churches once they graduate out of the youth ministry is 85% or better. If we help them to wrestle through what they believe, why they believe it, teach them how to defend their faith and teach them how to feed themselves we will be hitting the bulls-eye. I ran across a sobering statistic a few weeks ago. 60% of students today in our ministries believe that there are many paths that lead to God in heaven. Statistics like this show me that there is some confusion among our students in what they believe and why they believe it. I thought I would dig a little deeper and poll my students, talk to other students outside my ministry and see where people stand. I plan to share the results in future blogs as we continue to dialogue about students and their faith. Feel free to drop some comments and lets talk about this further. Click here to hear the message from Bill Hybels titled "The Wake Up Call of My Adult Life." Click here to watch Greg Hawkins from Willow Creek unpack the research and share his heart. Click here to go to my blog on the Willow Creek Confession. Click here to visit Tim Schmoyer's blog on this topic. 4 Comments Published by Terrace Crawford on 12/12/07 at 5:41 PM. Video: "12 Days of Christmas - Relient K"
5 Comments Published by Terrace Crawford on at 1:22 PM. Just in time for the holidays, now you can make like Will Ferrell and elf yourself! 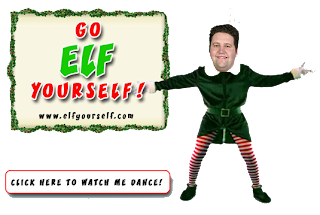 You can make one of these little greetings for yourself at Elf Yourself.com and send it to your friends. In addition, although I didn’t do it, you can record your voice greeting to go along with your card. I’d love to see you as an elf, so be sure and come back and leave your personalized URL in the comments and share with the rest of us! Merry Christmas! Click here to check out mine. 6 Comments Published by Terrace Crawford on at 10:52 AM. People have been asking how my 30th birthday went. Sorry it took so long for me to blog about it. In an earlier post I mentioned that December seems to be one straight party for me. Its kinda nice, actually, but very busy. The anticipation of my 30th was unparallel to any other birthday I've had. It was a mixed bag for me. I was excited but at the same time I was not looking forward to the new decade. Especially after words from those who had gone before me... One lady in my church (near 80 years young), whom I respect highly, said "Oh... its your 30th? You know, that was the only year I ever had trouble with. The others have been a breeze!" Thats positive, encouraging K-Love right there. So Friday came. The day before my birthday. I had plans to eat with my pastor and his wife that evening. 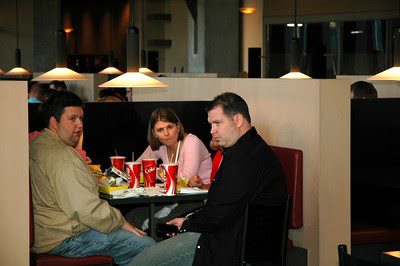 We were on the way to 'the restaurant' when a phone call came to the pastor's wife and soon we were headed by the church to handle some unexpected chaos. When I arrived I was greeted by nearly 200 guests surprising me with a party. The most surprising thing (and best gift!) of the evening was my immediate family showing up from South Carolina to spend the weekend with me. Additionally, several youth pastors and their families came to celebrate too. I was blown away. Saturday (December Uno), I spent the day with my family and that evening met my pastor and his wife, along with some friends from the church for dinner. It was very nice and I was so appreciative. Cards, gifts, lots of love and good times for all. It was very special. For some, they keep the party going. One youth pastor sends me an e-card EVERYDAY. So... how was my 30th? Pretty darn good. Thanks! 4 Comments Published by Terrace Crawford on 12/11/07 at 1:52 PM. 4 Comments Published by Terrace Crawford on at 1:21 PM. The Photo Gallery URL from the National Youth Workers Convention in Atlanta has been published. I am actually in two pics. I'm not seated in the main sessions... not found in the breakout sessions... but I am getting my eat on! Well, some things never change. After this pic was taken (without us having prior knowledge), I was like "uh... you didn't even give us time to pose." The lady was like "Ok, strike one..." I couldn't think of anything at that point so I just drank some of my Coke. Click here to access the full gallery from the National Youth Workers Convention, Atlanta. 22 Comments Published by Terrace Crawford on at 9:23 AM. Collide Magazine, a premier media magazine relevant for churches today, even announced it on their blog this morning. Dave is doing some great work and helps churches across the country engage the culture with new forms of media. This podcast is one of many resources Dave Daniels offers. I'm proud of you, Dave. Keep up the great work! Click here to visit the Churchy.Media blog and podcast. 0 Comments Published by Terrace Crawford on at 7:31 AM. I just celebrated the big 3-0. It wasn't so bad. I'm actually owning it now. 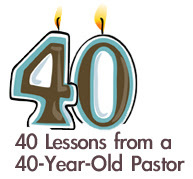 Craig Groeschel, pastor of Life Church.tv, which I am a super fan of, turned 40 last week and felt so inclined to share his wisdom in his blog. For me it was almost like reading Proverbs. I really enjoyed reading the things he has learned over 40 years. It is cool to learn from people who have gone before us. I wish students would get that. It would save them a lot of heartache. It is available in four parts: 1-10,11-20,21-30,31-40. 0 Comments Published by Terrace Crawford on 12/10/07 at 4:39 PM. Wow, what an incredibly beautiful (although strange for December) day. I wore long sleeves to work today. I think I can cut them off. I may need them later though. I'm doing a couple of new things for the Christmas season this year. One, I'll tell you about now. It's 12 Days of Christmas Videos. Random... but fun. The other you'll find out later. Everything has been a blur since my birthday. Boy was it a birthday. I've never seen such a blowout. I'll have to blog about it later for sure. Not sure why I haven't. December seems like one straight party to me. I went to a party today. Have another tomorrow. How fun?! My goal was to clean my office today. It didn't get done. The "Who Stole Christmas" event was incredible. Erik Smith wrote an entire story for the thing that rhymed! I am so impressed. He says we are going to write a book together. I'd settle for writing the forward to his book! Kenny G "Miracles" album. Gotta love it. Listening to it now. It should be in your Christmas library. LOVING the series CREED we're doing right now with our students. They are loving it too. I can't wait until our Student Ministry Christmas party this Saturday. It is going to be off-the-chain! siiicck! phatty! Oh yea. The students are excited. 0 Comments Published by Terrace Crawford on at 4:11 PM. Video: "Hey Ya! Charlie Brown"
1 Comments Published by Terrace Crawford on at 7:16 AM. OK, I needed this laugh today. I ran across these pics this morning online. 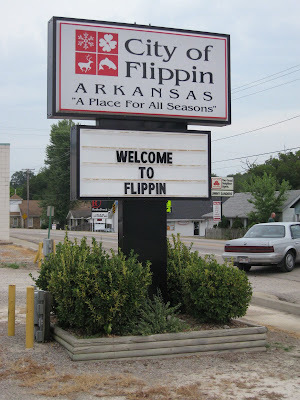 Apparently there is a real city in Arkansas named "Flippin." This is definitely a teenagers dream. 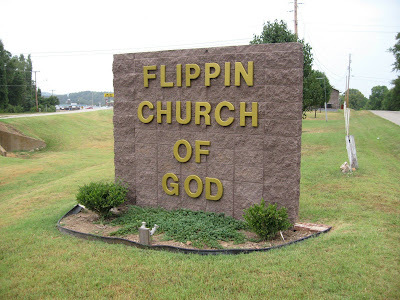 ... and, of course, I had to show you a local church. Whats funny is that teenagers in this town probably never use the word. 2 Comments Published by Terrace Crawford on 12/8/07 at 6:30 PM. 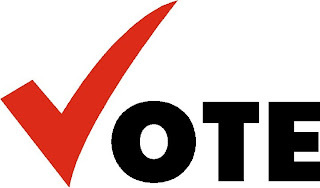 Many people know that I am a voter. I do think its important to cast your vote. However, I know some who don't feel that way. I've been asked a lot recently how I plan to vote. I do think this will be the MOST interesting election EVER. Have you seen all of the candidates? The diversity is unparallel. I wanted to share two interesting things that have occurred recently that makes me sit and want to stay glued to the tube and net to follow this thing. One, celebrities are weighing in now more than ever. Oprah Winfrey has even stepped forward for the first time in her career to hit the campaign trail with Barack Obama. Thousands are showing up to hear what she and Barack Obama have to say. In fact, in my home state of South Carolina they sold out the 18,000 seat Carolina Center and have moved the event to the 80,000 plus seat Carolina Stadium. Watch part one and part two of her speech. Two, I've started watching Mike Huckabee after he voiced his thoughts on evolution at a recent debate. I was very impressed with his response. Watch his response on YouTube here. I'm sure I'll be blogging about this from time to time as the election draws near. To date I'm not sure who has my vote. 1 Comments Published by Terrace Crawford on 12/7/07 at 12:30 PM. 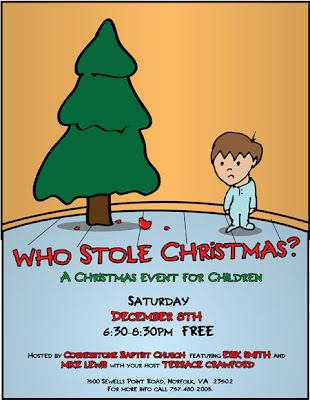 I am a part of a really cool event for children this Saturday evening at my church. It features two of my friends, Erik Smith and Mike Lewis. The public is cordially invited to attend. Free Admission. No tickets required. 0 Comments Published by Terrace Crawford on at 12:01 PM. The day I went into the bank and I was called over to the side by one of the loan officers who said "Hey baby, you want to do some Karaoke?!" and I responded "uh... this is a bank!?" Here is the rest of the story . . . Officer: "I know but its party time!" Me: "Well, um, do you win any prizes?" Second Officer: "Ok, here is some prizes!" Officer: "Ok, watcha wanna sing?" Me: "Hmm... I don't know. What would you like me to sing?" Officer: "Ooh... I like you, baby, you are versatile!" Me: "How about I sing 'Little Drummer Boy'? Thats a classic." Third officer: (Shouting from her cubicle)"Ooh... you didn't tell us you were in the choir!" Wow, what a wild experience at the bank. It certainly was cool. Yea, I remember that time. I remember it because it happened yesterday. 0 Comments Published by Terrace Crawford on at 11:40 AM. One of the coolest parts about blogging is to be able to dialogue with others, no matter the view or opinion stated. I think its great to share our lives with others. That is why I am such a fan of the term Life on Life, which I take credit for. I coined the phrase years ago and interestingly enough I've seen it being used more frequently now. In fact, I tried securing the domain by that name but it is already taken. All of that to say, I totally welcome comments. All you have to do is click on the 'comments' link under each headline [title] and you are good to go! Thanks for sharing your life with me and allowing me to share my life with you. Grateful for a Good Boss. 0 Comments Published by Terrace Crawford on at 8:28 AM. Today is not bosses day but I am taking a moment to thank God for a good boss. The lead pastor at my church, Fred Braswell, is a senior but very hip. He is relational off the charts (we are nothing alike! JK.) and sometimes I think he is pretty darn close to the model minister. I can share with him my heart, struggles and visions and have the freedom of walking in the assurance that he is on my team. THAT my friends is a GOOD boss! I can't say its been easy in years past. I've had a couple of bosses who weren't on my team and sometimes did everything to throw me under the bus but thankfully this is not my experience in this season of my life. In similar news, I've been following the writer's strike. I read an interesting article today about Conan Obrien (late-night talk show host) who is reportedly now paying his staffers out of his own pocket because he values them so much. Wow! Even though he may not be an overall good model for you or me, I thought this particular guesture was impressive. If you have a great boss celebrate them today. 0 Comments Published by Terrace Crawford on 12/6/07 at 9:51 AM. Sometimes I really hate the holidays. We've become so consumed with ourselves that we often forget the reason for the season... and that cliche has been SO over-used that we blow right past it many times. When I see things in focus it really gets me excited. I love what the folks at Advent Conspiracy are doing. You should check it out. 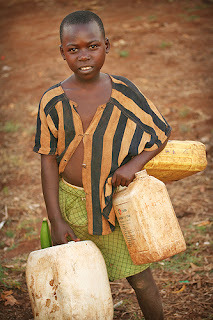 An entire ministry focused on helping people become less focused on consumption... more on compassion. I created an entire series around this. I call it "Happy Holydays." The word HOLIDAY is found in the scriptures in the book of Esther. The scriptures tell us that the people celebrated "the Holidays" with the giving of gifts... but what is interesting is that they were giving gifts of food... and their primary giving was to those who were poor. Our days (not just around Advent) should be HOLY. They should mean something. Aren't you tired of the run-of-the-mill days where nothing is accomplished? Days where NOTHING changes? Weeks go by. Months go by. Nothing is gained. Nothing learned. I'm sick of it. I truly want to make an impact! I want to share my life with people... and be so filled with compassion that I point others to Christ. If we are only consumed with ourselves we have no room for anyone else, much less Christ Jesus. If we get this our days become holy. They become sacred. An offering of worship to God. We then truly live out Romans 12:1-2 that says "offer your bodies as living and holy sacrifices to God, which is acceptable to Him, this is your spiritual act of worship." 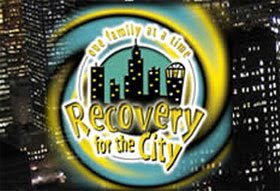 When I see individuals, fellowships, churches, companies doing this... it does my heart good. I've heard good things recently about Revolution Church who are making this kind of difference by reaching out to hundreds of people in their area with the love of Christ. Their testimonies are touching. I also enjoyed a blog by Darrin Patrick of the Journey church who apparently feels the same way I do. My Happy Holyday series is underway at Common Ground on Thursday evenings in Virginia Beach. May your days to come be holy. 0 Comments Published by Terrace Crawford on 12/5/07 at 12:47 PM. Youth Specialties and great president Marko has made all videos, pics and general media from the National Youth Workers Convention this year available to the public. Access them here. Click here to download these free resources today! If you'd like to order the DVDs, CDs or MP3s from the convention, click here. Click here to listen to our daily podcast from the NYWC. 0 Comments Published by Terrace Crawford on at 12:24 PM. I don't know if you read Ben Arment's blog or not but I visit his blog regularly. He is putting together a conference in May that will feature 8 influential leaders who will speak for 30 minutes each that I just don't want to miss. He is calling this thing the "White Board Sessions" and already has Tim Stevens(Granger), Mark Batterson(National Community Church) and Mark Dever(Capital Hill Baptist) on the program. Daily he is unveiling a new name on his blog. Each time I visit its like unwrapping another Christmas present for me. I am so excited. Thanks to Ben for this great idea. I'm looking forward to it! Click here to learn more about Ben Arment and the White Board Sessions.